If you attack the piste with a hunger for speed, precision and something extra snappy then the Salomon S/Max LTD is your weapon. Full speed comes from a full woodcore, full sandwich sidewall construction, double titanium reinforcement and an extra layer of Carbon. The S/Max LTD is based on the S/Max Blast shape and construction but has given an extra layer of carbon. This ski is shaped for precision and flow between turns, and razor precise on hard snow, The S/Max LTD will tempt you to find your own speed limit. Are your legs ready? Race woodcore, 2 sheets of ti, an extra layer of carbon, full sandwich sidewalls construction, super performing binding system to reach an unmatched level of performance with maximum sensations. Extra Carbon layer: the S/Max LTD is based on the S/Max Blast ski and to make it even better the LTD has been given an extra layer of Carbon for added liveliness. Edge Amplifier Technology: Fully integrated to deliver power to the edge and maximize your sensations. 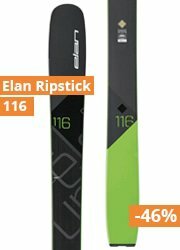 Full Sandwich Sidewalls: Laminate construction with full length ABS sidewalls give extraordinary smooth ski/snow contact and great terrain adaptation. Laminated construction enables Salomon to combine optimum material layers for targeted performance. Edge Amplifier: Re-designed boot/ski interface delivers 100% of your energy directly to the edge for unmatched grip.